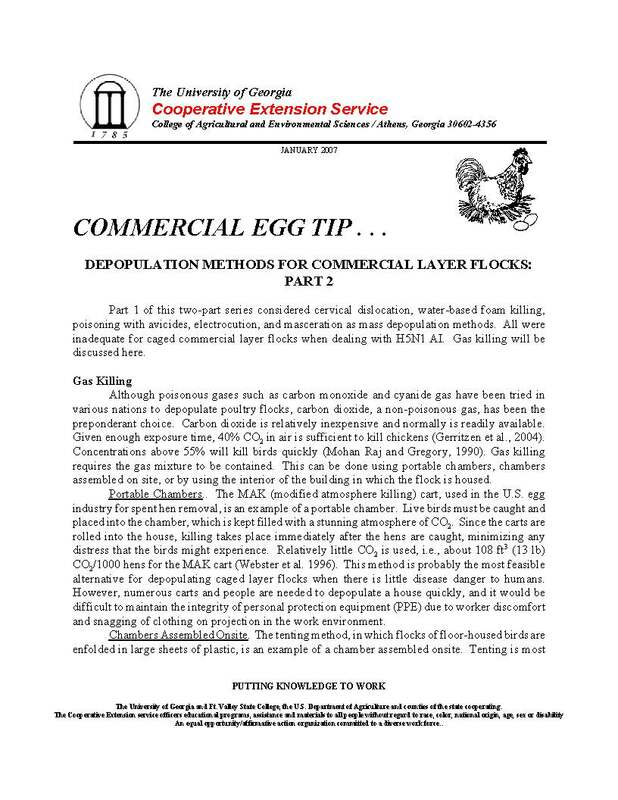 Part 1 of this two-part series considered cervical dislocation, water-based foam killing, poisoning with avicides, electrocution, and masceration as mass depopulation methods. All were inadequate for caged commercial layer flocks when dealing with H5N1 AI. Gas killing will be discussed here.